Nations don't die because they didn't criticize their wrongs enough But they do die because they didn't Celebrate their Heroes enough!!! Yesterday, a brave policeman embraced martyrdom. 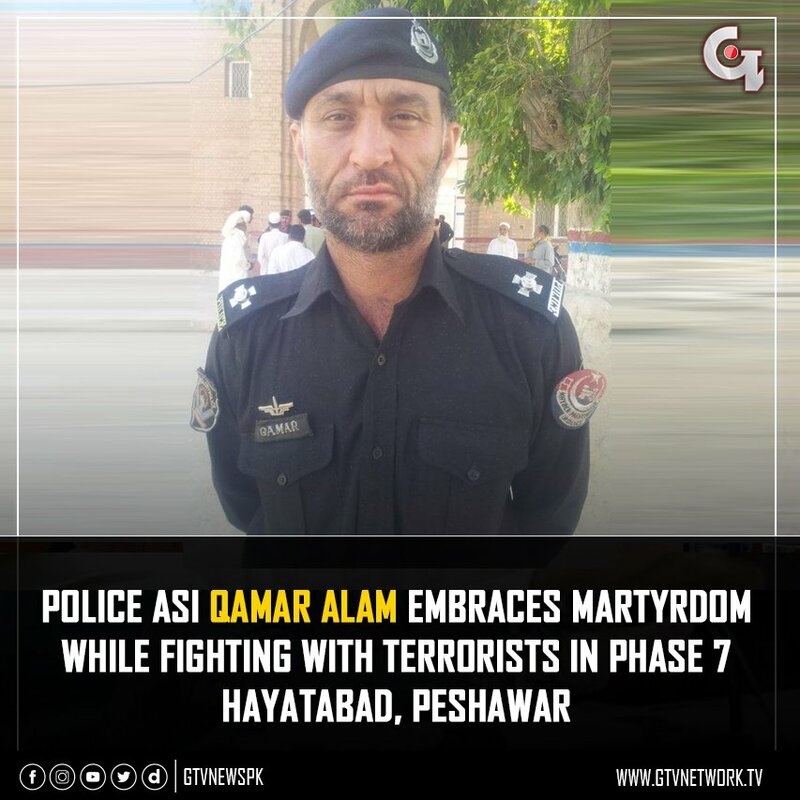 I thought all political social media activists, news outlets, and citizens would have flooded the internet with #OurHero_ASI_Qamar today!! But now I think we want to tell our forces we don't value their lives and sacrifices in the line of duty!!! WAKEUP Pakistan and Salute the Brave as much as you can so his comrades may take inspiration from his sacrifice and you may never run out of such brave protectors!!! Note to Moderator: Don't merge!! abhi tu saray heraam khoroon ko saanp soong gaaya hai..
nobody is appearing on the post..
i think we should have sent all the keyboard warios like bhaibarood sarashi mhfaeez nikita fat to peshawar yesterday. Salute to all those who were & are sacrifice their lives for the country and all living in the country. They are the real heroes. KPK police always sacrificed their lives for the country. Salam you all. Brave soldiers of the soil! May Allah(SWT) Grant this brave soldier high ranks in Jannah and Forgive him! The idea of celebrating the lives and accomplishments of our heroes is a foreign one to Pakistanis in general and Muslims in particular. May Allah raise his status high in Jannah. And give Taufeeq to the govt to support his family.